Music search company SoundHound has released a new tablet-optimized version of its Android app with a redesigned layout, improved music discovery and Rdio as a launch partner. 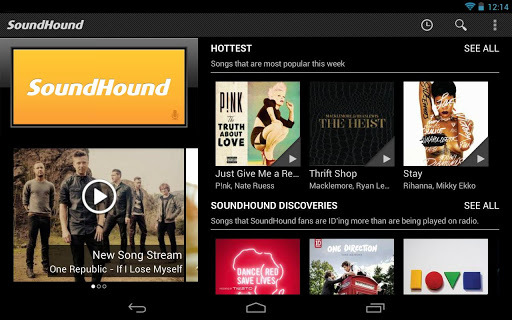 SoundHound, which has over 130 million users worldwide, says the app has been designed specifically with the Google’s Nexus 7 and Nexus 10 tablets, as well as the Kindle Fire and Kindle HD in mind. Amazon tablet owners will need to get the app from the Amazon Appstore for Android, though the latest version doesn’t appear to have arrived in the store yet. “By utilizing the tablet’s larger screen space and leveraging new tools from Google, users can much more fluidly navigate within the app and have access to more content in one location,” VP James Hom said in a statement. The service employs music recognition technology, which can also process humming and singing, to let users quickly identify and discover new music. SoundHound also highlighted Rdio as a launch partner for the updated app. The pair teamed up last December to release a new music mapping feature. Over the past few months, it has risen to become one of the app’s most popular features, according to SoundHound. 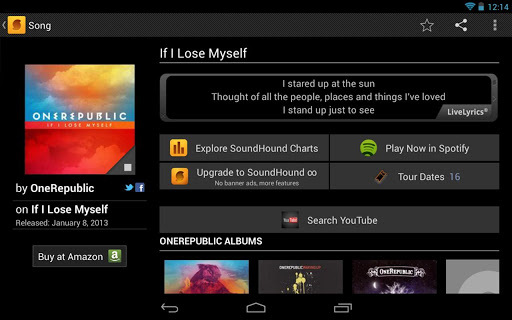 Find your songs quickly with SoundHound’s even faster music recognition!